Our featured author today is S.E Groves. 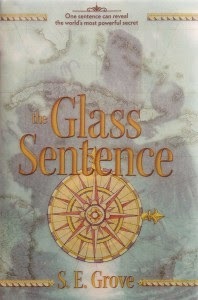 She wrote The Glass Sentence, the first book of what will be the Mapmakers trilogy. On June 27th, it came in at the #10 spot in the Children's and Teen section of the Kobo store. Then it popped back in on July 12th at #5, then resurfaced in the top ten again on August 23rd. A combination of adventure, mystery, friendship, history and maps, The Glass Sentence has received rave reviews throughout the summer, from Publishers Weekly to the famous Seattle librarian Nancy Pearl. It's a treat to be able to feature the story of S.E. 's e-publishing success. Let's start with a description of The Glass Sentence. It is 1892 in Boston. Roughly ninety years earlier, an event occurred separating places from time. Now places are in different time periods. Sophia, a thirteen-year-old living in Boston, is the niece of a famous cartologer - a mapmaker who records and explores the new world. Just as Sophia is learning the art of cartology, her uncle is kidnapped, and she must leave Boston to find him. My path has been traditional. I worked with an agent who revised this book with me multiple times (she is an editor in her own right). She then shared it with editors in the summer of 2011. When the book was acquired by Sharyn November at Viking that summer, she and I began working on the book. My sense is that this has been a very traditional past. It's a bit of a mystery to me, but apparently this magical thing called "word of mouth" is actually happening. I consider myself a social media amateur, but I have tried to be present on Twitter and Facebook. I recognize that these are wonderful tools for reaching people, but I have never taken to them as a reader/user, so I'm learning. My sense is that meeting with booksellers and librarians has made a huge difference for this book. Penguin Young Readers Group sent me on a dinner tour in June, and I met with booksellers and librarians in various cities. I think their enthusiasm has a lot to do with this book reaching so many readers. I also think that enthusiasm in-house is absolutely vital. Thanks to my editor and others at Viking, this book took off with readers internally, and that, in turn, made all the difference for the next step. I think of this book as having a couple target audiences. First, young readers in the 9 to 13 age range who like adventures, mysteries, and nerdy things like maps! Second, older readers who find the fantasy or history elements of interest. This is a beautiful book on paper -- Viking has made it a wonderful object. But it's also hefty. And I think the conveniences readers enjoy with any e-book will apply to "The Glass Sentence" as well. I'm betting it's a lot lighter as an e-book than it is as a hardback! My writing schedule at the moment looks daunting! I am finishing up revisions of Book 2 of the Mapmakers trilogy, and as soon as I finish I have to move on to Book 3! I try to write for a few hours a day, but I find that time away from actual writing is just as essential - percolating time. I have mixed feelings about this, as I expect many do. I think e-books specifically do not hurt young readers in the least. On the contrary, I think it's nice to have yet another way to access books. On the other hand, I am wary of their over use in the classroom. I do think that e-readers, and I'm thinking specifically tablets, should not become the sole way of accessing educational materials. It's one thing for e-books to replace paper -- what a delight to get rid of those heavy biology books! But when electronic learning games replace classroom activities and interaction with a computer replaces interaction with classmates, I think tablets and computers become less valuable. Like anything else, they should be an occasional tool rather than an all-encompassing approach. Learn more about S.E. Grove at her website or by following her on Twitter. 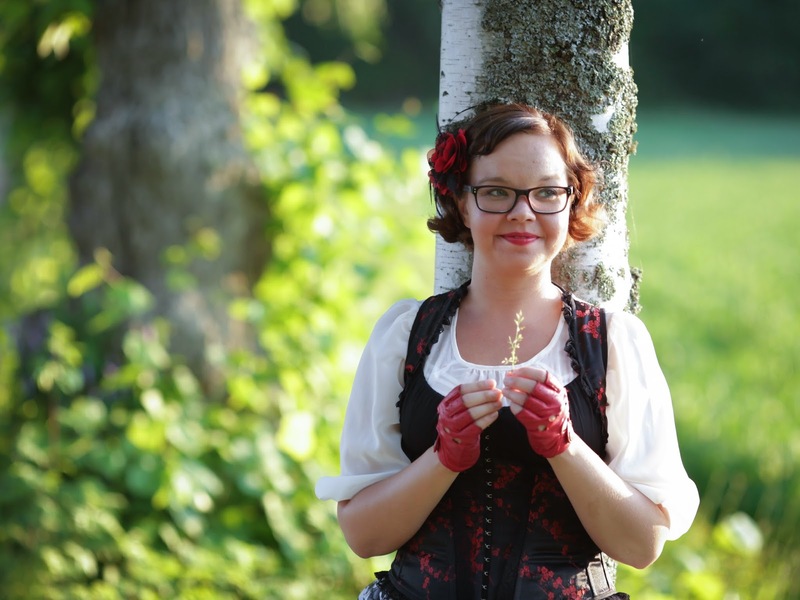 Today's featured author is Salla Simukka. She wrote As Red As Blood, which rose to the top ten for Teens in the Kindle store, staying there for three weeks in July. It got as high as the #2 spot on July 18th. This book is the first one in Salla's Snow White Trilogy. Salla is an award winning author in her homeland of Finland, having won the Topelius prize for two other books she wrote. The Topelius is Finland’s oldest prize in recognition of the best Finnish book for children and young people. She has also won the Finland Prize, which is awarded in recognition of a significant career in arts, an exceptional artistic achievement, or a promising breakthrough. Welcome, Salla. First, tell us what your book is about. 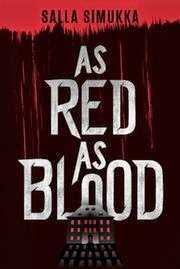 As Red as Blood is an YA thriller about 17-year-old Lumikki Andersson, who goes to a high school of performing arts. She has made it a rule to stay out of things that do not involve her. However, the rule is put to the test on leap day when she finds washed five hundred euro notes hung to dry in her school’s darkroom. Lumikki is swept into a whirlpool of events and faces life-threatening situations on the run from Russian and Estonian criminals. It’s the coldest winter in Finland in decades; the streets of Tampere are frozen and white with snow. And nothing is as red against white snow as blood. Of course the marketing is mainly done by the different publishers all over the world but readers can find me in Facebook and read about my work on my website. My target audience is anyone interested in thrillers, crime fiction, YA fiction and fairytale elements in language and style. I do believe that the story adjusts well to the e-format because the chapters are quite short and the story is exciting. I have always thought that a format is just a format. To read an e-book is no different from reading a paper one. It is the story that matters. But I must admit that I myself am an old-fashioned book lover: I love the smell of paper and the feel of a book. If my publisher would have suggested to publish the book only in e-format, I might have hesitated. But now that As Red as Blood will also be published in paper, I'm very excited of all the formats. Which ever way the book reaches the readers is a great way. In addition to the links Salla provided above, you can also follow her on Twitter. See the latest Kids' EBook Bestseller List for more top ten e-format authors and their books. It's updated every Saturday morning. This week's list has has several new authors that I haven't seen in the e-book top ten before. Of course, I'll be contacting them this week for interviews! On Saturday, May 17th, Maybe One Day by Melissa Kantor hit the number 10 spot in the YA & Teen section of the Amazon Kindle store. Melissa joins us today to share some of her insights on her writing and e-publishing success. Maybe One Day tells the story of Olivia and Zoe, two best friends since forever. When they are cut from their professional ballet school, they think it's the worst thing that will ever happen to them. But then Olivia is diagnosed with leukemia. The book is the story of Olivia's illness, but more than anything, it's the story of Olivia and Zoe's friendship. My hope is that anyone who reads the book will think of her best friend in high school and feel like I've captured that amazing, intense, beautiful relationship. In addition to being a writer, I'm also an English teacher. And I'd have to say that kids who read assigned books as e-books definitely seem to retain less of what they've read. But in terms of reading for pleasure, when my students and I talk about books we're reading, I have no sense that the kids who read an e-book have less command of the book. We're all trading favorite scenes and characters and it seems like everyone remembers everything just fine! I do a lot of writing in the summer, which is when I really have blocks of uninterrupted time. So I usually spend the winter and spring outlining and then I write like crazy in summer. Fall's when I take my editors comments and revise. Right now, I'm just finishing the final, final, final edits on my upcoming book Better Than Perfect. It's about a girl who has the perfect life…until she doesn't. I wanted to write about someone who followed the rules because I think when you're a good girl, you're being good because you expect to get a certain kind of reward, and maybe that reward isn't quite what you'd hoped. Maybe it's more important to be happy than to be perfect. This is a bit embarrassing, but I've never read an e-book. I've seen people's nooks and kindles, but I haven't tried to navigate one. So I had no strong feelings about it when my publisher told me there would be an e-book of Maybe One Day. It was almost like they were saying, "We're also going to be publishing your book on Mars." Um, okay. I do think that it's probably a good thing because there are a lot of readers who want to read an e-book, and it would be crazy to deny them the opportunity to read Maybe One Day. I believe that anything that puts books into the hands of readers is good. The most important thing in terms of whether it's good for writers is if writers negotiate good, fair contracts around e-rights. I worry sometimes about some of the bells and whistles in e-books: links and things that I imagine interrupt the experience of just reading. But I am probably being old fashioned. After all, what's the difference between a link and a footnote? Find out more about Mellisa Kantor and her books by visiting her website or by following her on Facebook or Twitter. 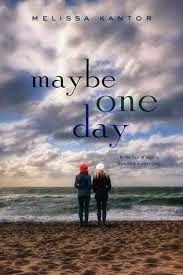 You can read a two chapter excerpt of Maybe One Day at her site. Conversion by New York Times bestselling author Katherine Howe was first released on July 1st, and by July 5th it had already risen to the #3 spot in the Kids' section of the Barnes and Noble Nook store. Katherine joins us today to share about her book and her e-publishing success. First, please tell us what Conversion is about. I took a traditional path to publication, finding an agent and then publishing two novels for adults, The Physick Book of Deliverance Dane in 2009 and The House of Velvet and Glass in 2012. Conversion is my first novel for young adults. I have been fortunate to work with a terrific publisher, Penguin Teen, which has done a lot to put Conversion into readers' hands and onto readers' screens. I also am easily accessible to my readers, with a Facebook page, a Twitter feed, a Pinterest and a website. My audience is anyone who is busy and interested in the world around them, maybe busy enough that they always want to have books along for the ride, but crave the convenience of an e-reader. I think the major advantage of e-published books is that a reader can carry as many books as she wants, wherever she goes. It's amazing that we can even read books on our phones now. Right now I'm finishing a second young adult novel, a love story set in contemporary New York City about a boy in film school at NYU who falls for a girl who has a terrible secret. The working title is The Appearance of Annie van Sinderen, and it should be available in Summer 2015. In general I'm in favor of anything that helps brings books and readers together, and for a lot of us, e-readers are an important part of that process. My sole hesitation lies in e-book piracy. Whenever I see an illegal copy of one of my books available for free online, a book that took years of my life and thought to produce, it feels like someone has come into my house and taken the milk out of my refrigerator. 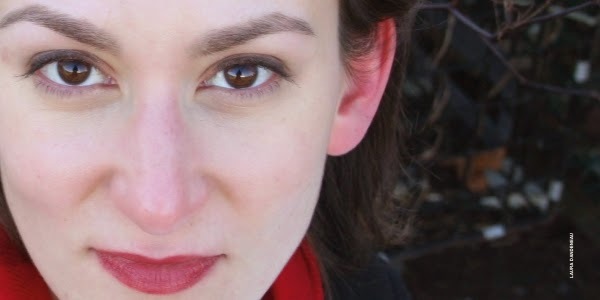 Learn more about Katherine and her books by following the links she provided above.